In 2013 singer Miley Cyrus created a sensation and sparked media outrage with a performance which included twerking. The previously little known dance move quickly entered common parlance and was awarded a place in Oxford Dictionary of English. But this was not the first dance routine to scandalise. The way we move our bodies to music has always had the potential to challenge the conventions of the day. This timeline explores those dances which broke boundaries and shocked polite society. 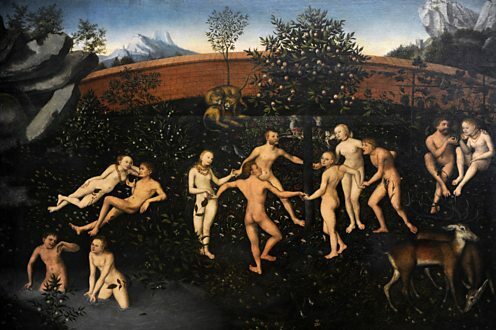 The Golden Age by Lucas Cranach the Elder, circa 1530. PHAS/UIG via Getty Images. Dancing for pleasure in Europe and America has a long history of misunderstanding and disapproval – occasionally even being banned as morally harmful. Classical and early Christian writings report dancing as dangerous and sinful, particularly if it allowed close physical contact between men and women from the lower orders. In the medieval period, circle dances were common with partner dances later becoming more popular. Factors like war, slavery, political and economic migration led to dances spreading globally. Mixed with new influences, social dances emerged which challenged and transformed social conventions of gender, race and class. 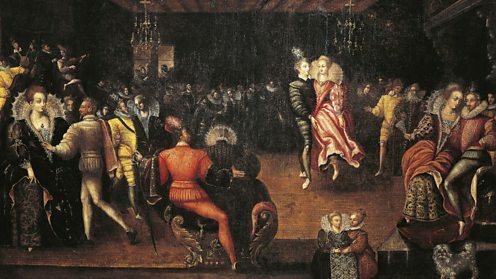 Couple dancing la volta at a ball at the Court of Henri III (1551-1589). De Agostini Picture Library / G. Dagli Orti / Bridgeman Images. The royal courts of France and England, with their rigid decorum, were scandalised by a dance that required close bodily contact between the sexes. La volta - Italian for the turn - was very unlike the slow, stately routines usually performed at court. In the dance the man pushes the woman forwards with his thigh, one hand grasping her waist and the other below her corseted bodice as she leaps into the air. Opponents thought this quick, energetic dance to be immodest and even dangerous for women, fearing it could cause miscarriages. 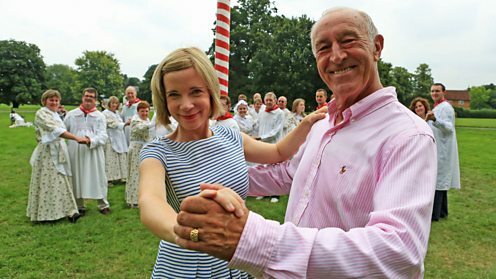 Lucy Worsley and Len Goodman learn how to perform the cushion dance. Clip from Dancing Cheek to Cheek: An Intimate History of Dance, The Devil's Work? It was not just in high society that dancing came under scrutiny. Ordinary men and women came under attack in the 17th Century. During the cushion dance men and women could select and kiss their partners on the dance floor. In a time when the sexes rarely had an opportunity to mix, such physical intimacy attracted the attention of the Puritans. This movement sought not only to remove from the Church of England what it saw as the continuing influence of Roman Catholicism but also to improve the moral behaviour of people in the country. A noted Puritan critic condemned ‘lewde lascivious dancing’ as the road to hell. It is far removed from the modest reserve which has hitherto been considered distinctive of English females. 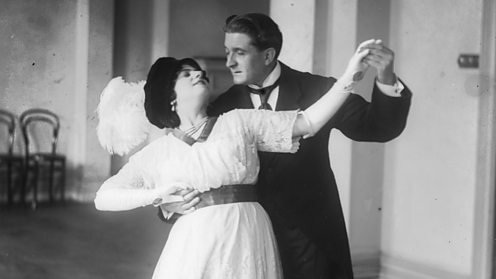 Waltzing was initially associated with lewd behaviour. Guildhall Library & Art Gallery/Heritage Images/Getty Images. 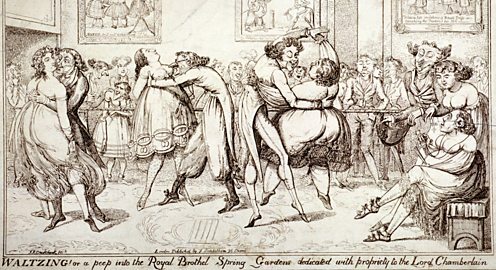 Dancing largely returned to side-by-side positions in the 18th Century. But in the early 19th Century a new dance shook Britain – the waltz. In the polite society of the time men and women rarely found themselves alone together until they were married. The waltz’s intimate embrace, a man holding a woman in his arms on a public dance floor, their faces a few inches apart, was revolutionary. So too was the rapidly whirling nature of the dance which had its origins in Austria, eventually becoming synonymous with Vienna and the music of Strauss. Queen Victoria danced the waltz and it is a regular feature of Strictly Come Dancing today. No woman should witness and no man applaud. 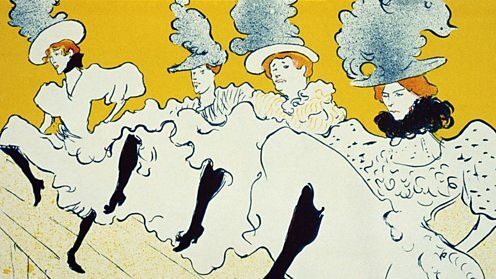 Henri de Toulouse-Lautrec's created a number of paintings of cancan dancers. 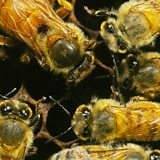 Fine Art Images/Heritage Images/Getty Images. In the late 1820s a group of working class Parisians was dancing a quadrille. They improvised, and kicked their legs in the air. The cancan was born. Middle class Parisians thought dances should be contained and graceful. To their eyes the lower classes looked as if they were suffering from a degenerative disease due to the flailing limbs involved in the cancan. The dance was adopted by the music halls and performed purely by women, exposing their petticoats and legs. When the dance was introduced to London audiences by the Parisian dancer Finette in 1868, some newspapers were outraged. Some dance experts believe that the Royal Family had a major role in popularising the tango in Britain. Clip from Dance Britannia, Dancehall Days. In the Edwardian era, social conventions such as the use of chaperones became more relaxed. The tango was to test those boundaries even further. The tango arrived in Britain via France around 1913 although its roots lie in the ports of Buenos Aires. Lurid descriptions in the press as a dance of cowboys, pimps and prostitutes, as well as its use of Latin music intrigued and attracted many to the tango. Compared to the waltz, the tango offered a much closer embrace for a couple, as well as the potential for individual improvisation. The Charleston was a dance that quickly caught the imagination. Clip from Dance Britannia, Dancehall Days. As jazz became popular in the Roaring Twenties, the Charleston emerged in the USA. For the first time women could dance socially without a partner. The Charleston developed from the music and dances of the descendants of slaves near Charleston, South Carolina. Dances crossing the cultural divide, from African-American to white US culture, became a standard feature of popular dancing for the next 100 years. Post-World War One, women had ambitions to earn their own money and express themselves creatively. They followed fashion and danced the Charleston. The footwork, flailing arms and swinging hips were considered immoral and provocative. Conceived in hell and brought forth by the brothel, the dance has established its immoral dominion. With its lifts and twists, the jitterbug was unlike any dance that had come before. Clip from Dance Britannia, Dancehall Days. First popular in the US in the 1930s, American soldiers exported the jitterbug during World War Two. Like the Charleston, it was based on an African-American dance, the lindy-hop. 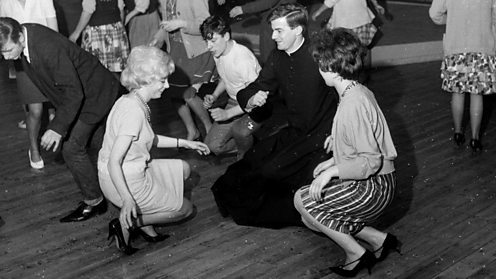 Again, concerns were voiced for both the physical and moral well-being of those jitterbugging. 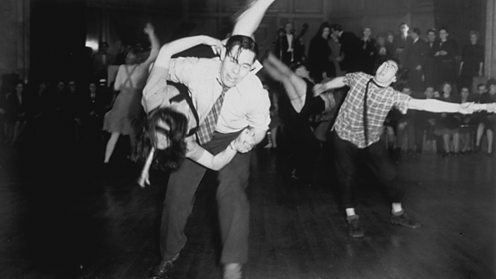 Dancing to swing music, couples would perform energetic and improvised moves including lifts which could expose women’s underwear. While English dancer Alex Moore called the dance “disgusting and degrading”, a sanitised version of this type of dancing – known as jive – was accepted into the ballroom repertoire. Just pretend you're wiping your bottom with a towel as you get out of the shower, and putting out a cigarette with both feet. The twist quickly developed into a worldwide phenomenon in the 1960s. Clip from Dance Britannia, Dancehall Days. The twist took off following a performance by Chubby Checker on the TV show American Bandstand in 1960, quickly becoming a worldwide phenomenon. With the effects of the Swinging Sixties yet to be fully felt, the twist was initially deemed to be vulgar and obscene for similar reasons to the Charleston – the dance could be performed without a partner and had its roots in the African-American style of hip rotation. As with the Charleston, medical concerns were raised. An orthopaedic surgeon reported a rise in knee injuries and the Society of New Jersey Chiropractors said it could cause “strains in the lumbar and sacroiliac areas”. The lambada was huge, if shortlived, dance sensation. Clip from Pop's Greatest Dance Crazes. The lambada was a sensual summer dance craze that emerged from Brazil and took Europe by storm. Just as the tango had scandalised by bringing couples nearer each other than the waltz, the lambada had dancers even closer, with hips pressed together as they performed a series of spinning steps. The dance was allegedly banned by Brazilian president Getulio Varga when it first emerged in the 1930s because he was horrified by its "immorality". Already well known in South America, the music and associated dance was popularised by a French group who released the huge hit ‘Lambada’ in 1989. 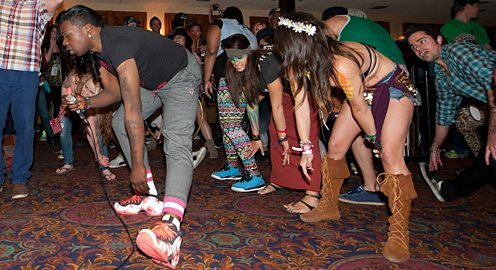 Twerking had existed long before Miley Cyrus's controversial 2013 performance. Erika Goldring/Getty Images. Like the Charleston and the twist, the focus of twerking lies in the hips. The rapid shaking of hips and buttocks can be seen as sexually provocative. Originating in West African dance moves, twerking is believed to have arrived in the USA via Jamaican dancehalls. The dance was mostly performed in the African-American community but former child star Miley Cyrus’s performance at the MTV Video Music Awards (2013) pushed it into the mainstream. She caused a social media meltdown. Her performance divided opinion, raising many questions on sexual exploitation, cultural appropriation by white artists, as well as artistic freedom and feminism.